For a more personalized gift you can include a short message written by hand on a small kraft tag. Just let me know about the message here!Thank you! 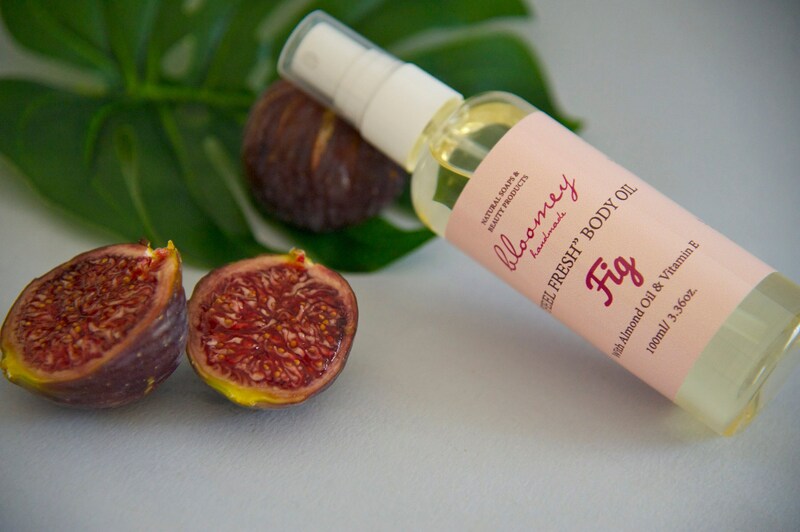 Refreshing fig, the ultimate summer sense! 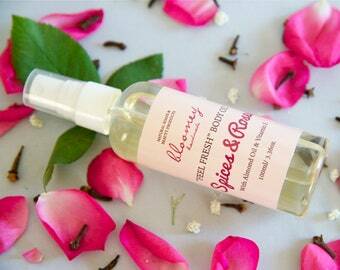 Just a few and simple natural materials are enough to make a deeply moisturizing and refreshing body oil! 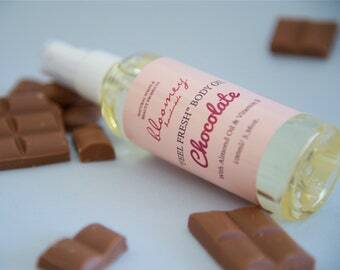 Almond Oil & Vitamin E --> Known for their nourishing and moisturizing beneficial properties that keep the skin soothed. - After bath or shower on damp skin. - As a hand cream and cuticle emollient; it is easily absorbed and doesn’t leave oiliness. - As a refresher; its scent is long -lasting. - As a make up remover and face cleanser; put a small product amount on a dry cotton bud to cleanse your face before washing it. You will be surprised how soft your skin will be after wash! - As an after waxing soothing oil. Easy to use…easy to have it with you all day!! A skin care product that you’ll surely adore and want to have it with you in your everyday bag!! 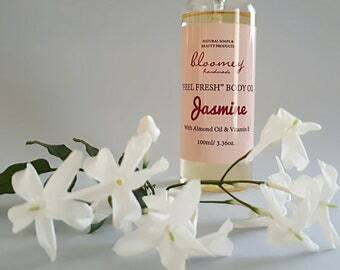 This Bloomey scentful body oil is here to stimulate your senses, fill you with freshness and give a velvet sense to your skin. Fig is the scent that evokes summer memories & pleasures under the shady branches of the fig tree enjoying the freshness of the ripe fruit! 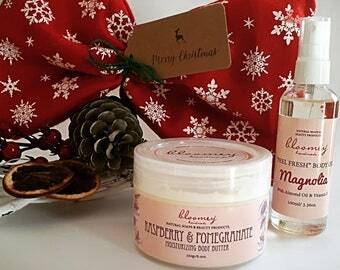 It has a very special sweet scent note you will adore and want to use all year round! 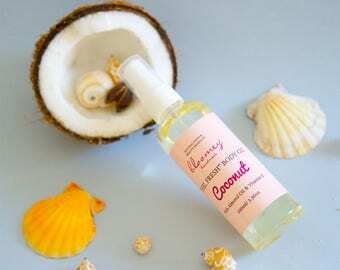 Each moisturizing body oil has 100gr net weight, approximately 3,36 oz. 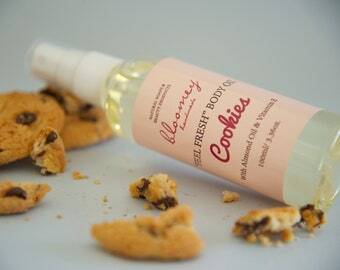 Each Bloomey body oil is put with love in a kraft eco-friendly packaging, ready to get shipped as a gift either to you or someone else. For a more personalized gift you can include a short message written on a small Kraft tag. Just let me know about the text at the "Notes to seller" section in your order! This product is made to order to keep its freshness and its ingredients intact. So, please allow 1 to 3 business days for production. Shipping upgrades are available for this item for international purchases. You can choose at checkout either a Standard Shipping method (no tracking number) or upgrade to a faster Shipping with tracking number. ❥ We offer COMBINED SHIPPING: Save on shipping costs when buying more than one item at a time! 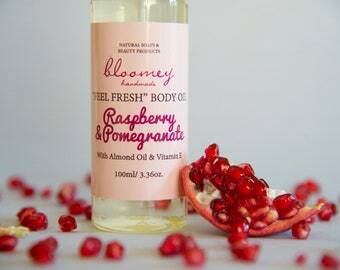 Love this and all Bloomey products I have tried so far! I apply this on stretch marks! Fantastic smell too! In case that you have a special need or wish, we will be glad to work togother and make a custom order that assists exactly your needs. Do you have a special request & you feel the need of a custom formula or product? Just contact us!. All our orders are shipped via Hellenic Post (Elta) as an A’ priority package with tracking number. We are not responsible for packages returned to us marked as unclaimed. In this case, the customer is responsible for paying to have it reshipped. All domestic orders are shipped as a standard parcel (tracking number included) with signature confirmation by the recipient. In case you think that shipping cost is high, you can contact with us to arrange a non registered parcel shipping (no tracking number included), but be aware of the risk of lost parcels, for which we have no responsibility (no refunds, no resending). The referred shipping costs for more than one item are approximately estimated. So, if your order consists of multiple items or different products, we offer COMBINED SHIPPING. Feel free to contact us at info@bloomeyhandmade.com for the exact total shipping cost estimation of your order. Save on shipping costs when buying more than one item at a time! In case you receive your order with the purchased items broken, sure we will not be happy if this happens. So, please contact us immediately. We will ask you to send a photo of the broken item/package, and we will arrange a re-send, refund or coupon code for your next buy. Unfortunately for the time being we do not offer wholesale. In case you choose to pay your purchase with "Other" payment method, keep in imind that we will contact you via Etsy's on-site messaging system, Conversations, in order to arrange the payment. Payments with this method should be completed within 24hours after the purchase. We are not responsible for lost packages, but in this case we will surely not be happy. So, please contact with us in case of such a situation, and we will find the best solution. We will open a case in our post office using the tracking number of the package & will apply for package detection & a full refund in case that is lost. In other words, be sure that we will definitely deal & address these kind of issues in a way that will be mutually beneficial! !